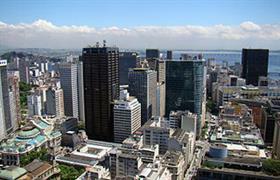 The Brazilian economy is one of the largest in the world. This fact attracts both large and small investors with long-term plans. In fact, according to the opinion of many experts the economic growth in this country will remain stable. Along with this will grow the incomes of those, who are buying apartments from builders, houses directly from the owners, as well as commercial properties in the capital and major cities of Brazil. Advantages of buying an expensive or low-cost housing in Brazil are a lot. Along with the excellent opportunity to acquire their own home for relaxing on the beach or a luxury apartment in the capital, the owners of property in Brazil may quickly regain all costs, associated with the purchase. Rentals in Brazil, particularly in large cities and in popular recreation centers, are very profitable. Many foreigners, who have real estate here, the so-called holiday homes, are letting their houses during their absence from the country, earning not only from their possession, but also from their next beautiful vacation on the ocean shore. Home buying in Brazil can be both very profitable and simple. Local real estate market is open to any foreign investments. Besides, home prices in the country are in a fairly wide range and allow major players entering the market, to invest in the entire real estate portfolio. People with average income are buying price reduced homes for personal purposes or in order to obtain investment returns.